Mamacita album sales are not doing as well as previous albums. Please help support Super Junior by buying Mamacita. In order to help increase sales, USA ELF has started doing mass orders for Super Junior’s 7jib Mamacita, Version A & Version B Albums! We will include a Super Junior MYSTERY gift for members of our fan club with each album order. 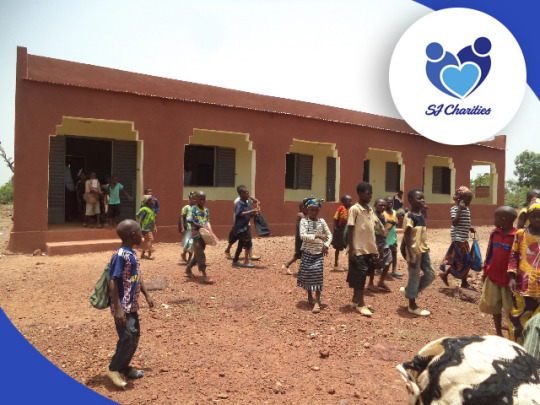 It is a small thank you from our fan club for all the support you give to our amazing boys! Membership NOT required to order. NOTE: Our fan club is not benefiting in any way from these album orders. We just want to increase Mamacita album sales & help ELF in the USA get albums as inexpensively as possible. We are not selling you an album but helping you buy the album from a store in Korea that counts on both Hanteo and Gaon. If you are not living in the USA, contact us and we can help refer you to the fan club that is doing orders to your country. Cost will be less if you order more than one album since shipping will be reduced. Since we will bulk order to keep album costs down, expect to receive your albums late September or early October. Accepts paypal, western union and money order. 5 – When album arrives, we will contact you!! 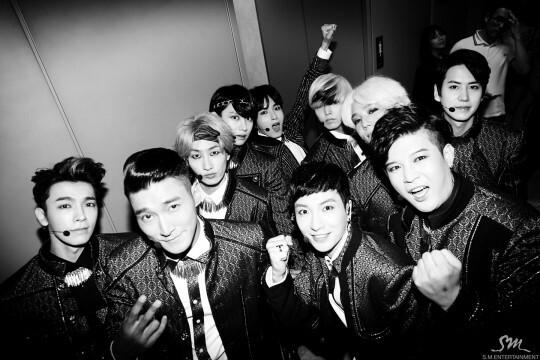 Thank you for giving your love and support to SUPER JUNIOR!!!! Super Junior has surprised their fans by releasing a drama version of their latest title track, “Mamacita“! On September 5, the video was unveiled through SM Entertainment‘s official YouTube channel. With the original “Mamacita” music video hitting six million views, the agency decided to celebrate the milestone by offering a better look into the video’s entertaining plot. 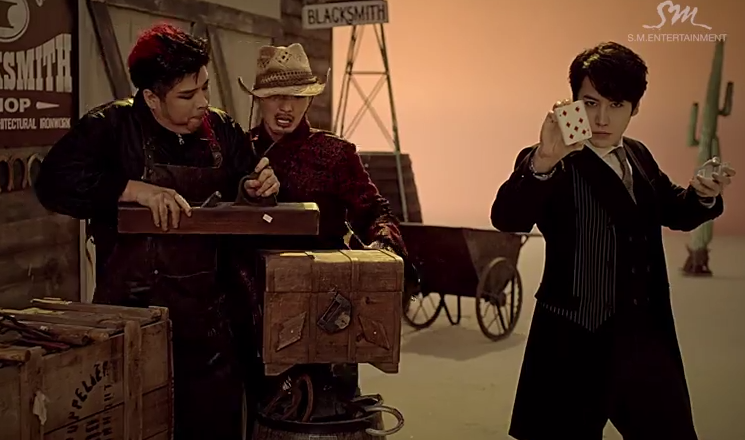 As the title hints, the drama version focuses on the Western-inspired story that was featured both in the teaser and in the first music video. This time around, ELFs are able to follow the story from beginning to end, and despite the plot twists being slightly confusing at times, the drama version does a good job in keeping viewers entertained. 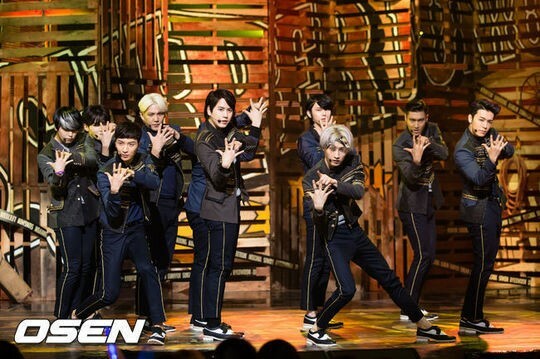 Super Junior is currently promoting their long-awaited comeback song “Mamacita” on music shows. Group SuperJunior became the top in Billboard World Album Chart. 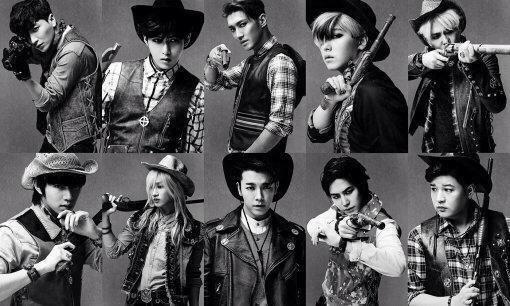 SuperJunior’s 7th regular album ‘MAMACITA’ that was released through iTunes on last 30th, ranked no. 1 in US Billboard World Album Chart (on September, 3rd). Especially, they proved SuperJunior’s power of global Korean Wave king with this album by sweeping no. 1 in various MV charts with all its music, album, and MV such as ranking no. 1 in album charts of 4 Asian iTunes and being in the top ranking of global album charts such as in Europe and South America, and ranking no. 1 in various domestic album sales total chart, YouTube official K-POP channel, iQIYI, and Yinyuetai V chart. #Hey # MAMACITA #We’re SuperJunior~! 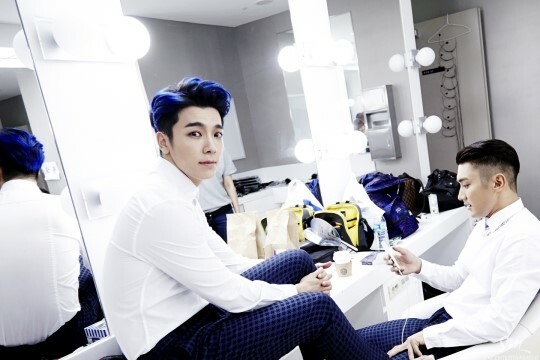 Donghae and Siwon poses for the shooting by showing gentleman’s dignity (?) at the word that this picture would be shown to fans!